Christmas is without doubt my favourite time of the year. 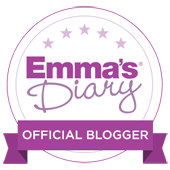 I love everything about the festive season- the twinkling lights, decorating the tree, listening to Christmas songs every day throughout December and cosy nights in front of the fire with my scented candles lit. We have started a few traditions since we had LO and this year will be his fourth Christmas. Even though this year it's been slightly disorganised due to the house move, we are more excited about this Christmas than ever. He has his first nativity play tomorrow with preschool, he has been singing Christmas songs non-stop and I think this year he really understands it all. It's also L's first Christmas and I am so excited to spend it together as a four. While I love Christmas Day itself, I actually get even more excited about Christmas Eve. I think there's something so magical and enchanting about it- I always reminisce about my own childhood when we would leave out mince pies and some sherry for Father Christmas, lay out our stockings by the fire and read The Night Before Christmas together. So one of our annual Christmas traditions I started a couple of years ago was to put together a Christmas Eve box for LO (and one for L this year too of course). Normally I'd put in a Christmas book, some festive pyjamas and socks, some treats, a jar of reindeer food and of course, a stocking. Each year I love to find a cosy pair of festive pyjamas for LO to wear and these Snowy Penguin cotton ones are so cosy and soft and I love the simple cute design. The Little White Company have so many other beautiful designs for both boys and girls, it's well worth a look on their website. 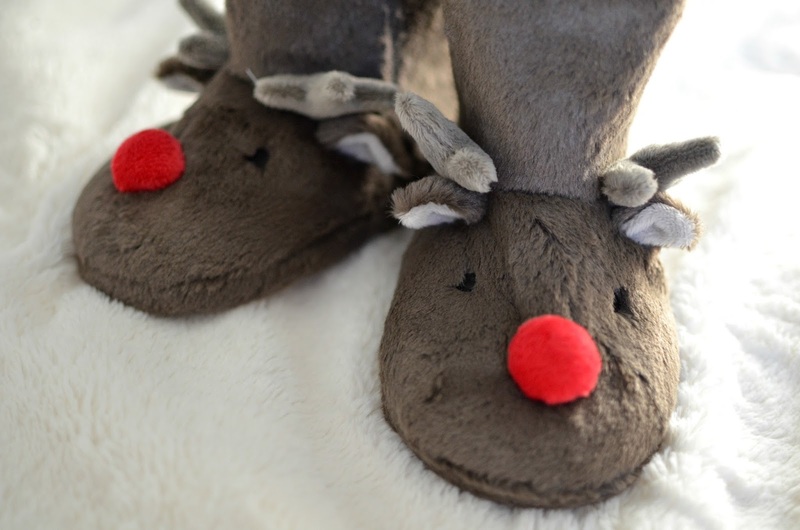 I absolutely adore these reindeer slipper boots- they really are as soft and fluffy as they look and they're perfect for LO to wear around out house as we have wooden floors which can get a bit cold. 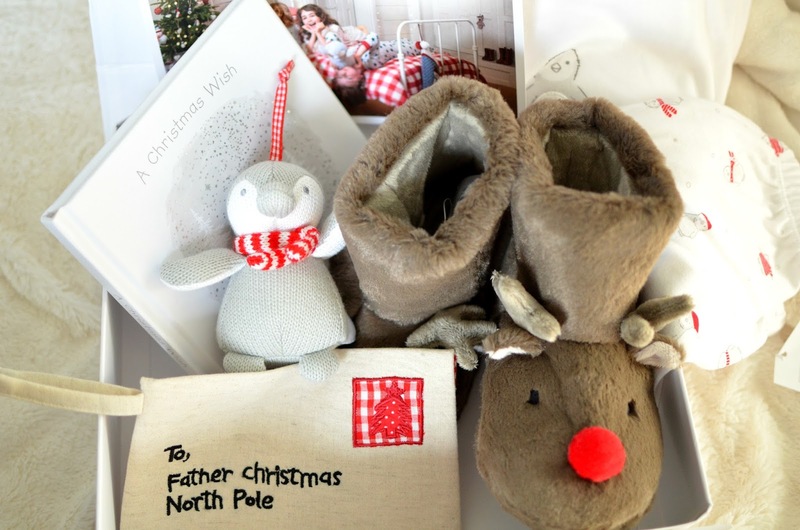 They're his first ever pair of slippers and they'll definitely keep him cosy at Christmas. 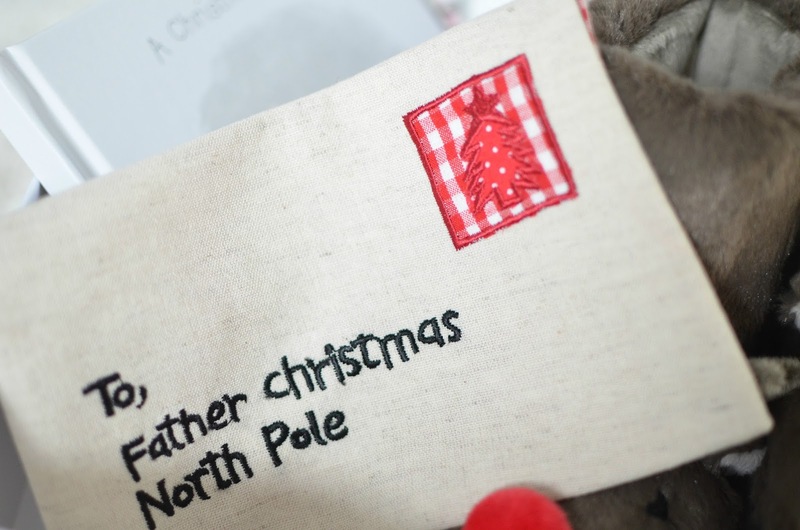 One of our activities we still need to do on our festive list for this year is to write and decorate a nice letter to Father Christmas, and the plan is to carefully fold it up and place it in this sweet little fabric envelope on Christmas Eve. We will sprinkle in some magic dust and leave it out for Father Christmas to read. I think this is my favourite item in the box and I can see us creating a new family tradition with this each year. 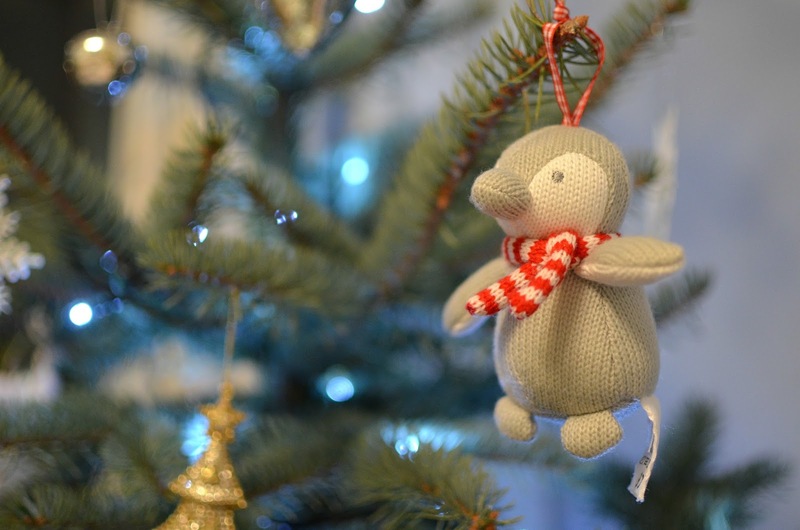 This is a decoration for both the boys to share and hang on the Christmas tree together. One of our annual traditions is to go out for a festive day where the boys pick a new decoration for the tree. This snowy penguin can join their little growing collection. 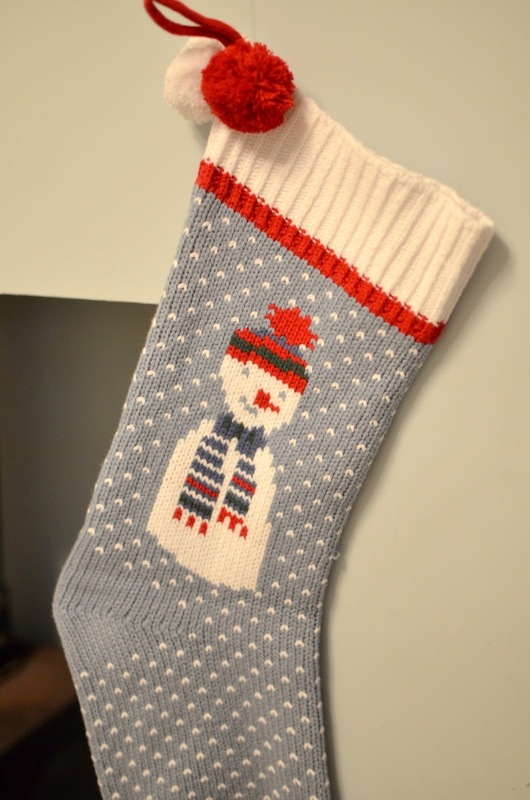 As LO already has his own stocking, this gorgeous knitted snowman stocking is going to be for L and Father Christmas will fill it with all sorts of baby treats I'm sure. It will look so beautiful hanging by our fire. Each year I like to get a new Christmas book to add to our collection. In our Christmas Eve box we were sent 'A Christmas Wish' by Barbara Horspool. It's a lovely winter story and features the Snowy Penguin in the box as well as the Polar Bear toy. It will be lovely to read together and act out using our new toy penguin. I am so over the moon with the boys' Christmas Eve box and I cannot wait for them to open it. As most of these things are for LO I'll probably be doing a separate box for L too and I'm sure they'll get a few treats as well. We are spending Christmas Eve in our new house and we have some really lovely festive things planned for the day including watching a Christmas film with hot chocolates and biscuits, decorating a gingerbread house, opening our Christmas boxes and of course, leaving out some treats for Father Christmas. All these items can be purchased from The White Company, with many being on sale at the moment is you want to grab yourself a festive bargain. I was very kindly sent the Christmas box for the purposes of this review. All opinions and photos are my own. it is so beautiful, i love your article. keep writing. n live happy. PK Domain providing low cost web hosting in Pakistan, free domain ,reseller hosting, dedicated support and your satisfaction as the best web hosting company. Best web hosting in Pakistan at an unbelievable price. Unlimited Web Hosting for just Rs. 1600 per year! Web hosting in Pakistan, PK Domain offer you high quality web hosting and web designing in Pakistan, we are one of the famous and oldest web hosting provider Company in Pakistan. You can get complete information about different packages of domain and hosting at www.pkdomain.com.pk.